1. 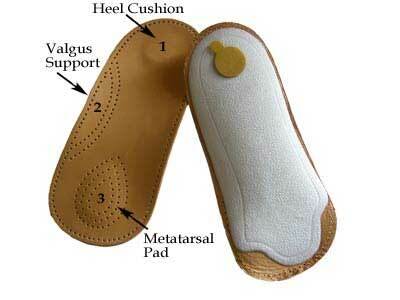 Built in heel cushion reduces pressure to the heel. 2. Arch support will treat any biomechanical (walking) abnormalities, therefore treating the root cause of the foot or leg pain. 3. A metatarsal support (forefoot support) will provide relief and comfort to the soles of your feet.